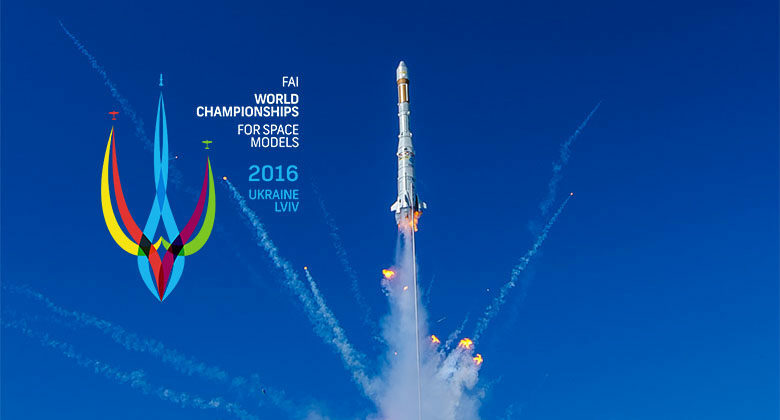 From August 21 to August 28 the FAI World Championship for Space Models took place in Lviv, Ukraine. The event advanced aeromodelling and amateur rocketry by introducing several new innovations to the field. More than 300 competitors from 19 countries all over the world took place in the festivities, including the United States, Canada, China, Italy, the United Kingdom, Switzerland, Poland, Romania, Spain, and Ukraine. About 7000 visitors also attended the event and thousands more followed it via daily, live YouTube streaming that was made available. During the five days of competition, competitors, spectators and special guests from the Lviv Region dove into the unforgettable atmosphere. The combination of sports, with fun, tech-centered activities was an ideal environment for the whole family. Organizers were able to create a true Noospherian spirit through the outdoor activities, educational workshops, competitions, robot and technological innovation exhibitions, drone races, and of course, the world championships themselves. At the opening ceremonies on August 23, competitors made their first launches. Air balloons with flags from each attending country floated into the sky, symbolizing unity, their common goals and global intentions to develop innovative world technologies together. One of the highlights of the event was a fun competition that used smaller class rockets carrying eggs. This was the only event that allowed both competitors and amateurs to pit their skills for the for the 4000-euro prize pool. The US Company, Aurora Flight Science, together with Noosphere organized the spectacular, high-tech flights. First place went to the US team, and the Ukrainian team took second place. The highest altitude achieved during the competition was 753 m in the S1B class by a competitor from the US. As usual, the most spectacular launches came from the replica S7 class rockets. According to the rules, S7-class rockets not only need to be functioning rockets, they also need to be as detailed as possible to their full-sized counterparts. A Polish competitor made the largest rocket replica of the event in the S7 class – the Meteor. This rocket is normally used in meteorological applications. As an added surprise, the Polish team made a special gift for the children – a rocket that shot out candies for them to collect! Along with the sweet treats, 2000 children were able to design and launch their first rockets at the amateur rocketry workshops. We hope that they will be inspired by their successes and that this will be just the first step toward future as professional rocketeers. It was clear that Ukraine set a new standard for the industry. John Langford, head of Aurora Flight Sciences, and US Senator; John Grubbström, President of the World Air Sports Federation (FAI); and Matt Steele, Vice-President of Alaska Aerospace, attended the competition, highlighting the high-profile nature of the event. They expressed their hope that the world cup will continue to gain popularity and become a family-oriented tradition that bridges technology and fun. “This year, like at last year’s European Championships, we recieved very positive feedback from representatives of the FAI and competitors about the organization of the competitions. We are delighted that the event draw so much attention from the world community. There were a large number of spectators and especially children. We believe that the spectacular flights and victories of our athletes will inspire children to pursue technical professions and will leave a positive impact on the development of the next generation of engineers,” commented Michael Ryabokon, Championships Director, and Co-Founder of Noosphere. In the individual standings, Jordi Roura from Spain was named the Senior champion and Michal Zitnan from Slovakia took the Junior title. The CUP Navigator tool has the complete results from the competition here. Congratulations to the winners, especially the Ukraine Seniors team and the Slovakian Juniors team, and the winners from the Spanish and Slovakian teams in the individual standings. May you always have successful launches and landings! The next European and World Championships will take place in Poland, and Noosphere will be proud to continue to support the celebration of technology. Let`s overcome gravity together! You can also check out this link for more pictures of the event.